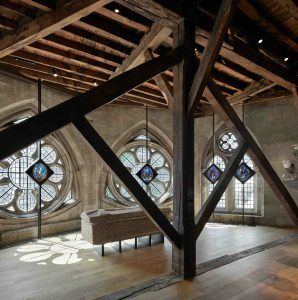 DHA Designs have completed the lighting design for the Queen’s Diamond Jubilee Galleries in the triforium space at Westminster Abbey. Set more than 50ft above the Abbey floor, the medieval Triforium has never been open to the public before. Over 300 treasures from the Abbey’s collection will illustrate the rich thousand-year history of the institution. Read The Times 5-star review here. Read The Guardian’s review here. The galleries open to the public on 11 June 2018. This entry was posted in All, Press, Recent work, Studio news and tagged @wabbey, #AbbeyGalleries, dha, Lighting, lighting design, museums and heritage on June 1, 2018 by peter.